When I first posted on Facebook, to announce this blog, I stated then that I was trying to find my voice. I still am. By ‘voice’ I don’t mean my message but rather the clear communication, to you, of my intentions and motivations. Why am I doing this? So far, my (3) main blogs have been attempts to relate what I believe God has shown me, from time with Him. What God says to me inspires me enough to want to share it, so I do, and will continue to. I hope this brings about something good. But this isn’t really the main thing for me. Primarily, I want to express my heart, my passion, to tell you what moves me. I want to be honest about my struggles but only so that I can tell you how God is in them and helping me. This blog is not self promotion, ‘my soul shall make its boast in the Lord’ (Ps34:2). I don’t have anything to promote except my relationship with God. My heart is to encourage. I want to make a difference, for my life to count for something. As Christians we all have the opportunity to accomplish something that will last for eternity! And I’m not talking about a blog here. I mean the chance to positively impact the lives of others. I have big dreams from God but struggle, for example, with the inner voice that tells me I’m worthless and nothing I do is good enough. I have to battle through this and I wonder if it helps others to know about what, for some, is a shared experience; especially if I come from the battlefield having conquered what you may still be facing. I will tell you how. 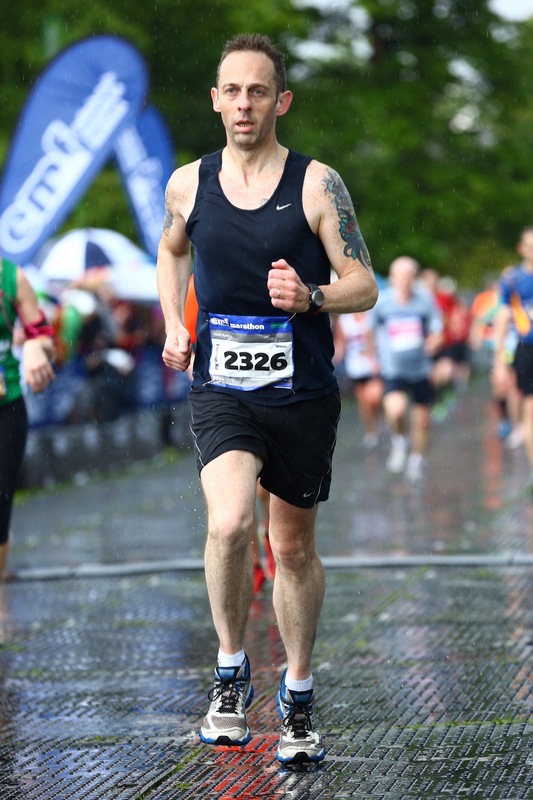 The second marathon I ran, last year in Edinburgh, was a nightmare. It was a bad day. By mile 14 I was mentally beaten. But I kept on running. By mile 20 I was physically empty. But I kept on running. By mile 23 I was getting the miles mixed up. It was horrible. But I kept on running – I don’t quite know how, except that I refused to walk. I had no choice but to go on, and running (even slowly) is quicker than walking. I had to get to the finish, only then could I stop. My walk as a Christian is the same. I keep running, because God helps me. God comforts us so that we can comfort others. My hope is God will take what I say and it will go right to peoples’ hearts. That instead of quitting or choosing to go no further, there will be those who go on because of something I said, that God used. I would love this. In the case of the marathon, I know where I went wrong because there is stuff out there that tells me. Books, web articles, podcasts and other runners sharing their experiences. I could just have concluded I should stop entering marathons, that I’m not up to it. But no. I’ve been encouraged by others to try again. I made some mistakes with my training and I went out too fast in the early part of the race. Next time I will get the training right. Next time, I will pace myself better and I will get a PB (or PR for those in US). As a Christian, when I feel like quitting in an area, it is so good to be able get help from those who have been there and got through. Just to know I’m not the only one who has struggled helps. My desire, through the ‘foolishness’ of my blogs, is that you will encounter God Himself. That ultimately it will be His voice that you hear. Categories: Encounter | Tags: Ministry | Permalink.